Have you ever wondered how you can capture the stars like those pictures you see in magazines? How can you improve your Milky Way shots? How do you get the stars so crisp? 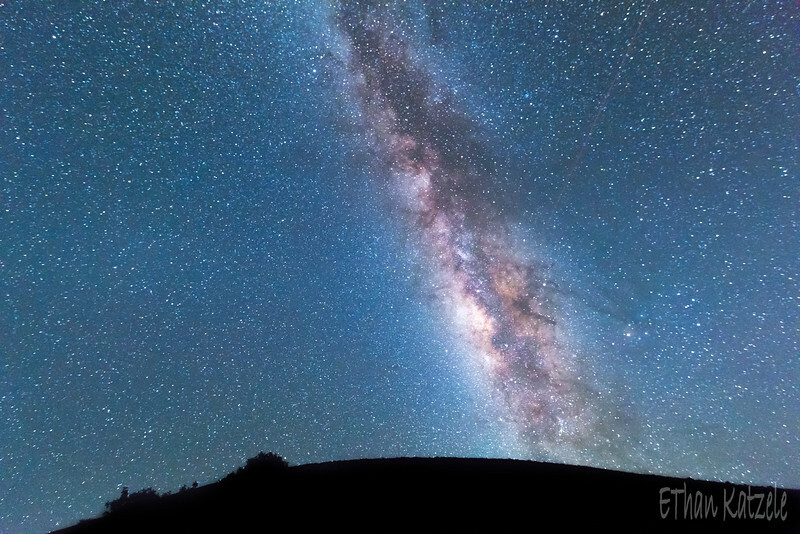 These are some great questions that every photographer entering the astronomy world will ask. 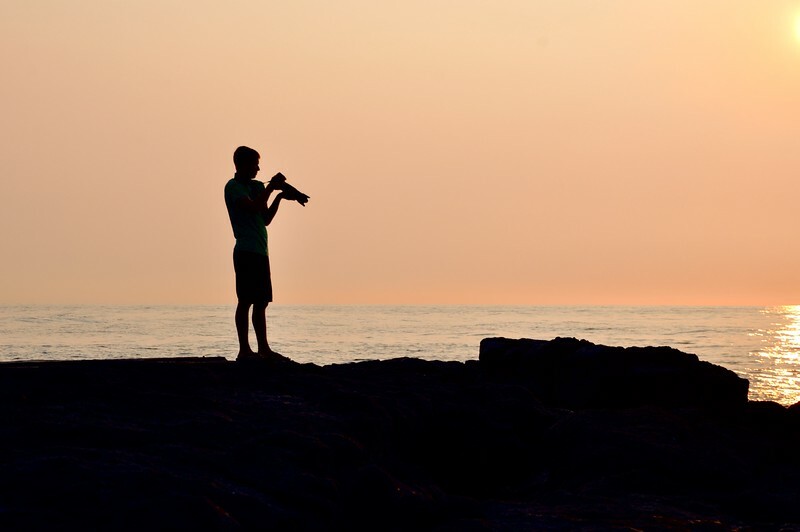 The first thing people ask is: What type of camera and gear do I need? Here is a short list of the items you will need to start creating some great pictures. The next important thing when shooting the stars is to use your camera to its full potential. Most cameras were not meant to shoot stars in such low light. When we apply the best settings for astrophotography, we are pushing our cameras to their limits. Because cameras can't auto-focus on the stars, or expose correctly on their own, we need to take control. Flip your camera into manual mode (M). Set your exposure to 25 seconds to start. Set your aperture (f-stop) to the lowest it will go. Remember, the lower the number, the more light is let in. The higher the f-stop number, the less light is let in the camera. Now if you stop there and take a picture, you will end up with a pitch black shot. Why? Because of one vital setting, ISO. ISO is your cameras sensitivity to light. When people shot on film, you could buy different ISO's of film (ISO 200, ISO 400, ISO 800, Ect.) Digital cameras allow you to choose ISO within the menu or the cameras settings. Look around on your camera for the ISO button or setting. The next step? You need to bump up that ISO. This causes a problem though...NOISE. The higher the ISO the more noise will be in the photo. You need to find the ISO sweet spot of the camera, possibly 1600, 3200, maybe more, maybe less. It all depends on what your camera can handle. The only other things you need to worry about is White Balance and focusing on the stars. If you shoot in RAW (Which I highly advise), you will be able to adjust the photo's white balance in post processing later. I prefer to shoot in a custom white balance of 2700K on the Kelvin scale. Then I can adjust it later and fine-tune it. Now comes the part of focusing on the stars. My favorite way to do this is to put my camera into Live-View mode and zoom in to a bright star (possible the North Star) and adjust the focus ring every so slightly until the star is focused and becomes the smallest speck you can make it. The smaller the speck on the LCD, the more focused the stars will be. You can also use infinity focusing on a lens (if it has the infinity symbol on the lens), but I prefer focusing via Live-View for a 100% accurate focus. 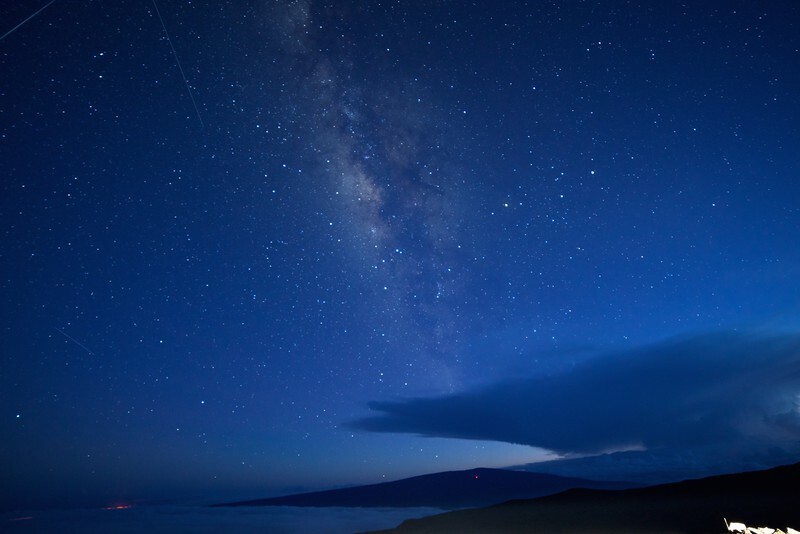 Now you know the basics of shooting the stars, but here are a few more things to keep in mind. There is something called the rule of 500. You take 500 and divide it by the focal length of your lens and as a result, you will have the max exposure you can do without capturing star trails. For example, if shooting with a 14mm lens, take 500 divided by 14 and you get about 35 seconds. 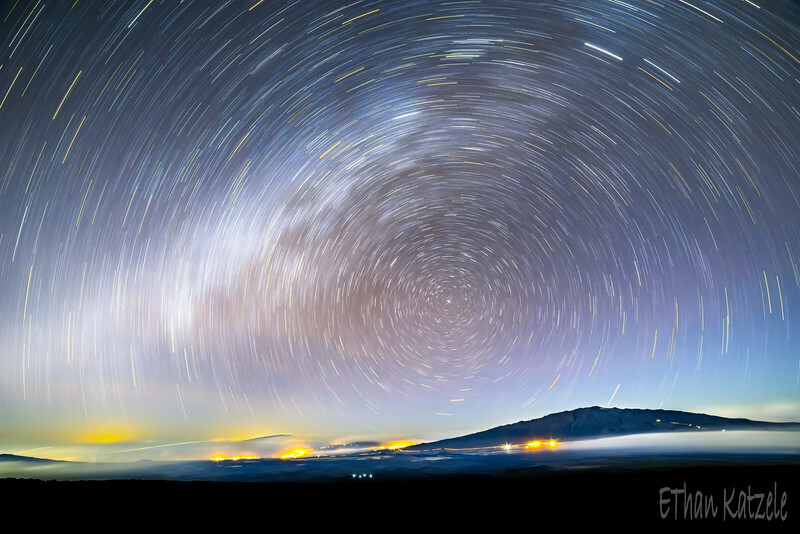 I prefer to go even a little shorter than that because I usually don't want star trails at all. 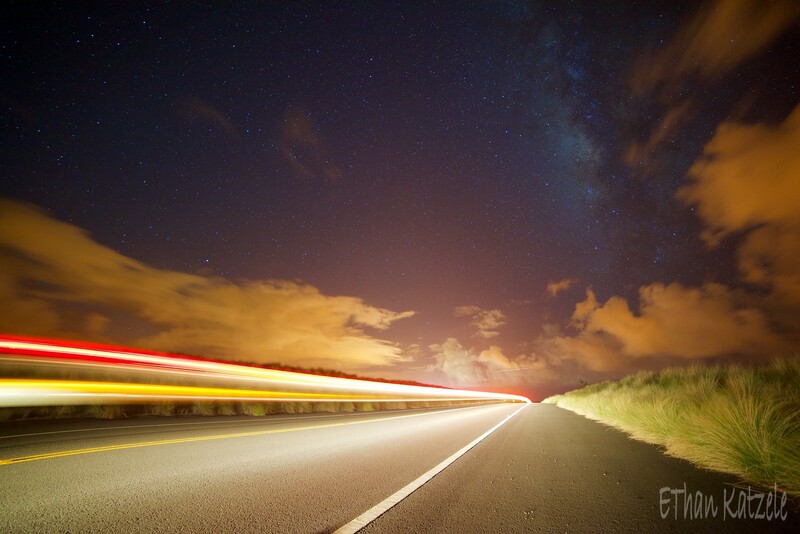 If you have an 18mm lens, your max exposure should be about 27 seconds. Get the idea? If your shots are coming out too bright, but not as tack sharp as you want, bump up the aperture one stop and increase the ISO slightly. If your shots have too much noise, decrease the ISO, and increase the shutter speed or make the F-stop a lower number. If your shots keep coming out with blurred stars, check and make sure your tripod is sturdy and isn't being blown around by wind. I hope this tutorial has helped you. Of course, there are other ways to shoot the starts but I find this way the easiest. Please let me know if you have any special tutorial requests, or a question about this article. Thanks! 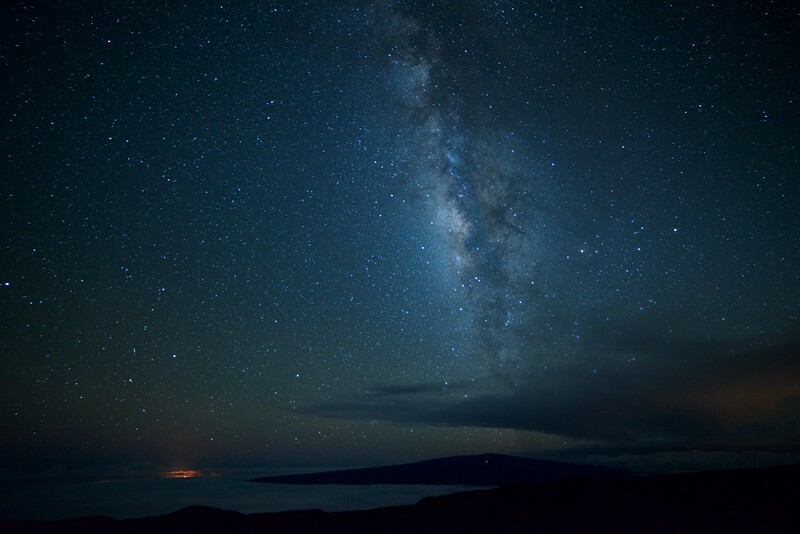 Ethan Katzele, the author of this article and website, is a professional photographer based on the Big Island in Hawaii. He sells his prints and offers a variety of photo shoots to the public.